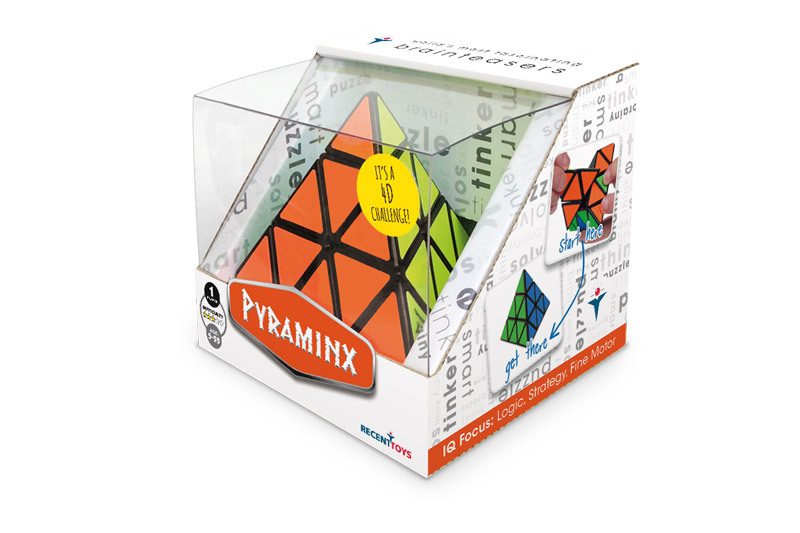 Pyraminx – Recent Toys Int. 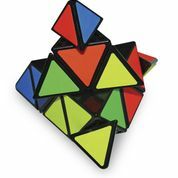 Start with the colors scrambled on all sides. 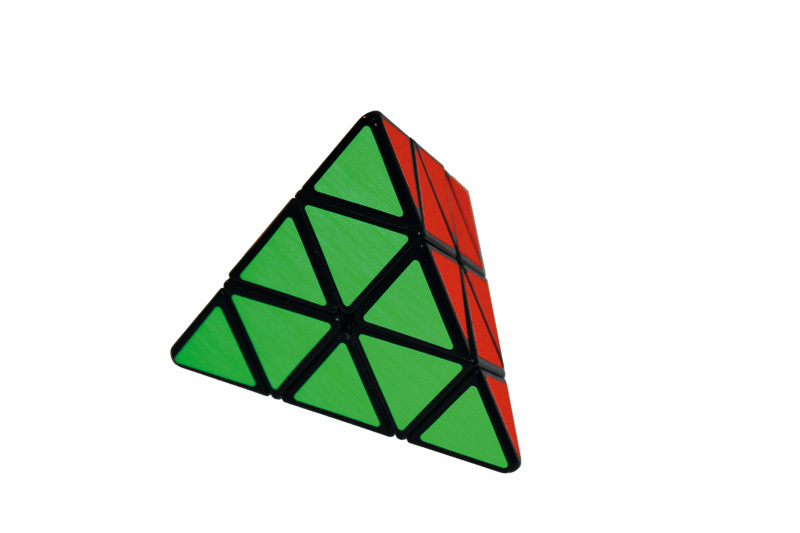 Twist any 2 halves or rotate the tips to change the colors. 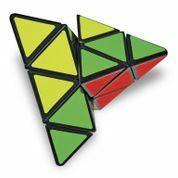 Solve by creating 4 solid sides of color.